Whether it is repairing damaged pipes or fixing a blocked drainage, plumbing is one of the essential services that you cannot live without, regardless of your location. Occasionally, you will have contact a local plumber in Sydney to come and fix a plumbing problem that has occurred in your home. There will be times when they can do a satisfactory job, and other times they deliver low-quality service. However, you and your house do not deserve any kind of substandard service. You need professional plumbers who can fix the problem fast and efficiently. This is why at Wilco Plumbing we have devoted ourselves to offer the best plumbing services in Sydney. We truly understand what you go through when your drainage system is a mess. Or, if it is a burst pipe in the house, your living space will become inhabitable, and if quick measures are not taken, the whole house will be flooded. The situation could be worse if it is a burst sewer. No matter how big or small your plumbing issue is, we will fix it so that you can continue on with your daily life. Business or commercial premises are not immune to being affected by different types of plumbing problems. Such structures can also have issues like leaking pipes, running toilets, clogged drainage and even burst sewer lines. It is not possible to ignore such problems at a business place, and in some cases, your business operations may be interrupted or even fail in those circumstances. We are confident that your excellent plumbing services will get your business operations back to normal in the quickest and most efficient way possible. We can serve you effectively regardless of the magnitude of the problem or the size of the business. From the above list, most of the problems cannot be done by regular residents and they require professional solutions. If you go ahead and try to fix them by yourself, you will find yourself in a worse and more dangerous situation or cause further damage, increasing the cost of the repairs. For this reason, you need to contact the best plumber in Sydney. Plumbing comes with its own set of risks. In the course of repairing or solving a problem, it is very likely that some parts of the premises can get damaged. Alternatively, the plumber may get injured while working. When you are our client, you will not be held liable for any of these because we are fully insured. All you will be doing is waiting for us to finish our work and leave you with a satisfactory experience. 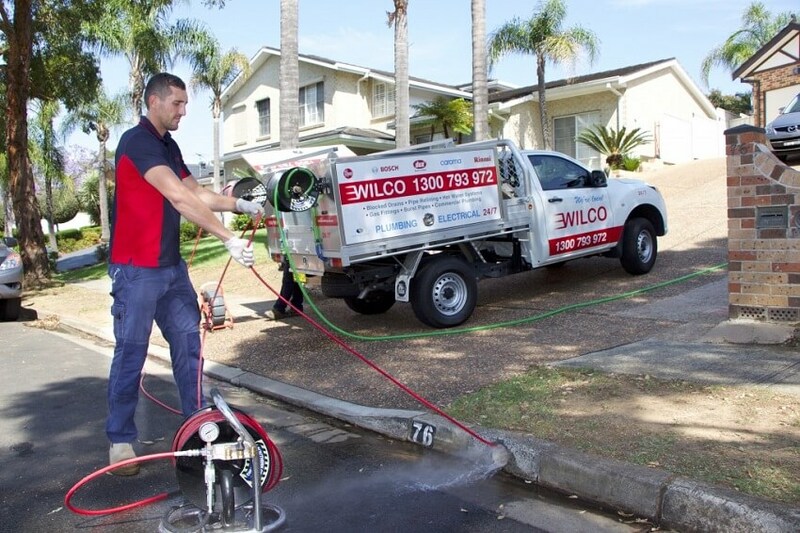 Wilco Plumbing is fully licensed to provide plumbing services in Sydney. The risks of working with an unlicensed plumber cannot be underestimated. Low-quality service might not be the worst issue; the plumber may end up committing criminal activities on your premises. Given that we are licensed by all the relevant authorities in Sydney, you will have nothing to worry about when we are on your premises doing our job. Having the required license and certificates makes us a reliable plumbing service in Sydney. It also means that we care about our legal obligations, unlike many other plumber services that do not. It really feels good to have the best team of plumbers working hard to give a long-lasting solution for your home. This is exactly what you get when you hire us to fix a plumbing issue in your home. We have a team of professional plumbers who are well-trained and have years of experience behind them in dealing with different types of plumbing problems. Apart from the usual academic qualifications, our plumbers are certified by professional bodies that are entrusted to regulate this field. Plumbers at Wilco Plumbing present themselves professionally. They treat clients professionally and respectfully. They promote a healthy interaction, a critical factor that contributes to high-quality plumbing service. Plumbing problems cannot be predicted. They can occur at any time of the day and you would not even expect it. When caught up in such a situation, you need to contact an emergency plumber based in Sydney. We provide emergency plumbing services that can help you in these situations at any time of the day. If it is at midnight, don’t panic. We will still attend the scene and fix the problem. At Wilco Plumbing, we do understand how valuable time can be. That is why we aim at completing the work possible so that you can go back to your regular life. Our response rate to calls is very quick, and once you contact us, we will be at your location within the shortest time possible. Once we are done with the job, we leave the place shiny clean. There will be no boot marks or small pools of water all over your house. We are the best Sydney plumbers, and we are fully dedicated to providing an excellent and quality service to our customers. In fact, most of our clients recommend us, and this is due to our zeal and commitment to meeting their expectations. Our quotations are transparent and quick, and you will be in an excellent position to see what you will be paying for. We are the best choice you have if you have a plumbing issue so do not hesitate to call us. Take advantage of our discount coupons today and access big savings on your next plumbing service.